“The components of nature all exist within us. We are connected to all aspects of nature and its preservation is critical to our very survival” Dr. Elisabet Sahtouris. The dictionary defines holistic as emphasizing the importance of the whole and the interdependence of its parts. Have you ever asked yourself if we truly know the vast importance of honoring, appreciating all the creatures on this planet? Have you ever wanted to know about your relationship with the animal kingdom and wanted to see more of these magnificent animals we share this planet with? Have you thought about “Lucy “the fossil fragments of a hominin who is estimated to have lived millions years ago and is either directly ancestral to humans or is evolutionarily close to our ancestors. Have you ever wanted to access your origin, your essential energetic roots on this living planet we call home? South Africa is a place many geneticists call “the cradle of civilization.” The South African story has been fraught with struggles yet it strives to move towards a dream of unity to become a single nation. You will be able to see, hear, experience, smell and taste the origins of life. You will have an opportunity to touch beneath the surface wherein lies the memory of your roots on this planet. You will have a chance to access, accelerate, activate, awaken and enhance your very own evolution for this is a place of transformation at its very deepest, deep within your own DNA, for it remembers. The energy will transform your life…Nature at its most innocent, its most pure, its most authentic! We have also planned for you an optional tour to Cape Town to visit and explore one of the seven natural wonders of the world “Table Top Mountain”. Table Top Mountain is a geometric and genetic paradise of nature in which you can experience all the natural elements within one location. Ascension Cave is one of the many incredible sights that await our arrival. As we stand and gaze out over the southern tip we shall enjoy both the Indian and Atlantic Oceans as they meet and become one. Upon leaving Capetown, we will then proceed to Johannesburg and set off to explore the african bush veld We will spend several days in Kruger National Park enjoying both morning and late afternoon game drives. Be prepared for adventure and wonder as we come across giraffes, water buffalos, lions, cheetahs, leopards, elephants, amazing birds, monkeys, baboons and hippopotamus and many other species in their natural habitat. We will be accompanied by cheerful and knowledgeable Kruger game rangers as we enjoy open air jeeps and unexpected adventures! But at the very heart of our journey is a private visit to see the “White Lions of Tsau.” We will experience a personal connection to the mystical and regal energy of these dynastic and legendary animals. Dynastic is to be understood as the white lions being the actual royalty within the lion kingdom and are believed to be beings from Sirius here in lion form. We will also go on morning and afternoon game drives and experience the white lions up close and personal, an experience we promise you will never forget. Our lodgings will include an “off the grid lodge” and many others that offer panoramic views, tranquil surroundings and delectable and delicious food along our journey. This tour also includes stops at Cape Town peninsula, Kirstenbosch Botanical Garden, the Boulder Beach penguin colony and so much more! We will also explore the natural majestic and oneness of the natural world as the ancient circle stones at Adam’s Calendar. South Africa holds some of the deepest mysteries of all of human’s history. This ancient calendar is attuned to the stars, most prominently Orion’s Belt and the Southern Constellation. We invite you to listen and hear if your inner voice is calling you on this adventure to South Africa. We invite you to experience, explore and bear witness to the magic and mystery these ancient lands contain. All Lodging and ground transportation; most lodging is first class accommodations; food is gourmet and primarily fresh and organic, water is pure, weather the time of year is typically cool and sunny. Air flight from Cape Town to Johannesburg if you are doing the Cape Town option. All meals as stated in itinerary; a few others will be on your own as stated in itinerary. Entrance fees to Kruger national park and other sites. International airfare—check your Air miles, flights on Delta, KLM, American, British Airways; Delta has optimum times and shortest travel. Travel Visa –will send further details once registered. Personal tipping gratuities for game guides and bus driver -we recommend $50. for tips. Beverages and Water is considered safe and very clean –more info will be forthcoming once registered. Budget an extra $70. US for tipping and gratuities and about $550.US for personal expenses, more if you are a shopper—you know who you are! Ruth Underwood spent her early years living in mostly rural settings in Uganda and South Africa where her deep sense of connection to the soul of Africa was formed. She has spent most of her career working with non-profits in South Africa, is also a yoga, meditation and processing teacher, and has travelled to many sacred sites around the world. 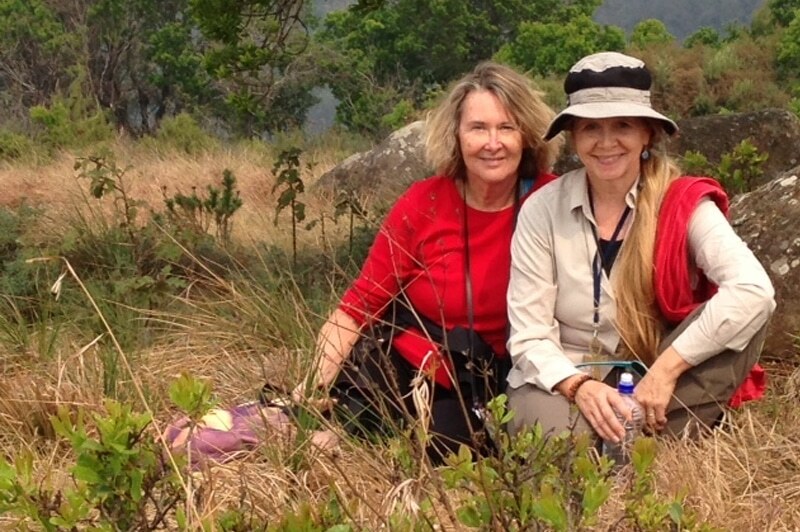 Ruth leads Sacred Retreats to various places, and has a particular connection with the Nilotic meridian and all the sites along it. On these African trips, she shares her love of the heart of Mother Africa and her mysteries. Canadian artist and poet Patricia M Bowers was born into a farming family of nine. Patricia struggled in her school years with academics until she learned she was dyslexic. Patricia was accepted by a small community college into an art and interior design program. It was here she learned and worked with a variety of art mediums and techniques but it was painting that touched her heart. She married while in college and later assisted her late husband for many years in a series of retail businesses. In 1993 while spending time in California she experienced a number of tumultuous environmental and shocking events. Patricia began to see, hear and feel energy that propelled her back to her art. In 1997 Patricia began to work with the ancient art of Mandalas that are a sacred geometric form. This art form would lead her on a journey of facing her fears and of personal discovery. Patricia is an intuitive and visionary painter who translates her visions into form into distinctive metallic paintings. She has written and published a book of poetry and art called Infinite Love. Patricia is married and works from her home studio/gallery in Bradenton, Florida and is often commissioned to create a personal and unique soul portrait for those seeking expansion and personal growth. Imsara is a Doctor of Oriental Medicine and an Evolutionary Astrologist. She enjoys painting in colorful acrylics, making healing elixirs from around the world and who also hosts groups of travelers who want to expand their experience of the world-at-large. Imsara has studied creatively at Findhorn in Scotland, British Columbia, Egypt, Peru, and China, where she interned as a student of acupuncture. Moreover, she holds a Master”s Degree in Public Health from the University of South Florida. See biography for more information. Arrive in Cape Town by midday. Arranged airport pickup and transferred to our hotel. Rest and relax before a welcome dinner in the evening. We will explore Table Top Mountain Pathway to the Sun which is an extensive network of sacred stones that forms an Ancient Celestial calendar. Visit to Table Top Mountain, one of the seven natural wonder of the world. Later we will visit Kirstenbosch Gardens, magnificent botanical gardens that have provided shelter, water and food for thousands of people over the millennia. Tour of the Cape Town Peninsula. We will see spectacular views at Cape Point; Simons Town which is a legendary for its seafaring tales and extensive navel history; Bolder Beach Penguin Colony home to the endangered “jackass” penguins. All Breakfast and Dinners included in Cape Town tour. Lunch on Own. Depart Cape Town to Johannesburg OR if you are just joining the tour in Johannesburg arrive midday from your Gateway City in the USA. Late afternoon circle; lunch/dinner on own. Morning visit to Soweto a melting pot of South African culture and township famous for the struggle against apartheid. Afternoon to relax. Dinner at Moyo African style restaurant. Depart Johannesburg early morning for a visit to Adams Calendar which is located in the Barberton Mountains where the first amoeba records were discovered. These rock formations also house the first gold found on the continent and Adams calendar is the possibly oldest stone observatories of the ancient astronomer priest. There are also a roaming herd of 400 wild horses’ that are culturally viewed as guardians of this area. We will arrive at Boondocks Mountain Lodge late afternoon. We will have a full day at the Boondocks Mountain Lodge, to relax/explore the many pleasures of its breathtaking views, organic food and tranquil surroundings in this magnificent “off the grid” lodge. Morning ceremony at the Labyrinth. You will have the rest of the day for personal time in this “sanctuary for the soul.” For more than ten years this lodge has been lovingly crafted to be an example of how without any compromise you can live and work off the grid. The garden, with spectacular views of birds and wild life living in a range of habitats – a very unique experience! Depart for Rhino Post Lodge our home for two nights. 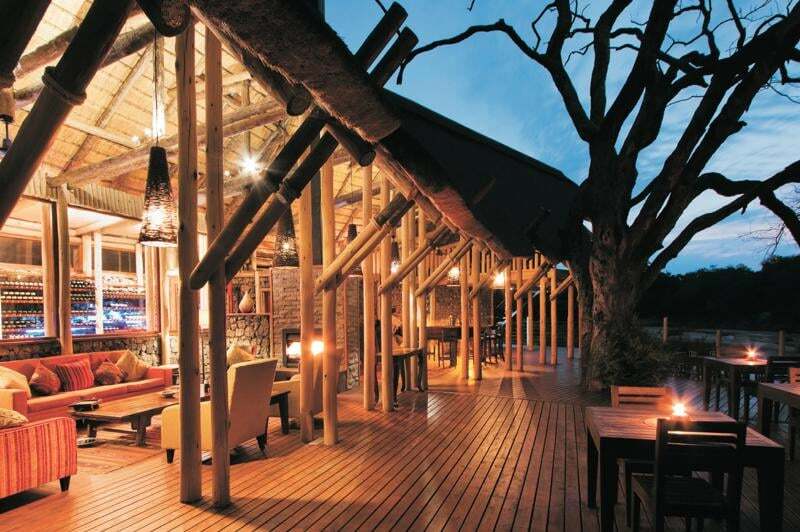 We will explore Kruger National Park which is South Africa’s most famous animal preserve. 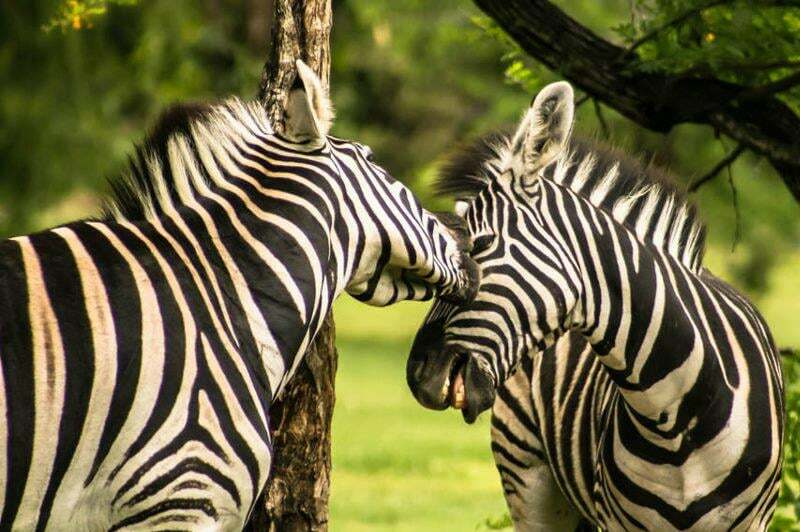 Every species of South African animals can be seen in this park: elephants, giraffes, zebra, antelope, lions, hippos, crocodiles, monkeys and more! Kruger National Park with morning and evening games drives. We will have the afternoon to relax and experience in this nature sanctuary. Early morning game drive then followed by delicious brunch. Depart lodge and drive through Kruger National Park towards theTimbavati region then to Tsau which is the home of the White Lions. Tsau is the only place in the world where the White Lions are free to roam in the wild. Arrive afternoon in time for a game drive with overnight stay at Camp Unicorn in “African rondavels” which are traditional round homes. We will have a private visit and ceremony with the White Lions to experience these mystical and royal animals in their natural habitat. 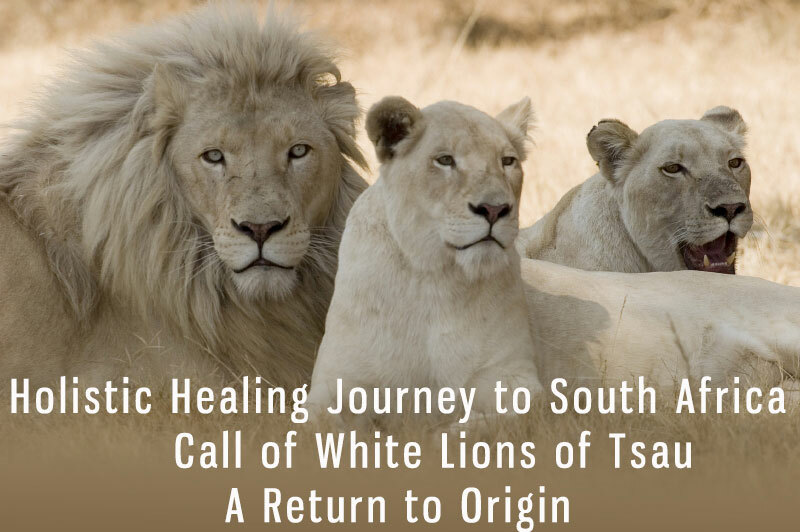 We will hear more about the Global White Lion Protection Trust from Linda Tucker, author, lion shaman and protector of these sacred and powerful animals who are technically extinct. We highly recommend you to read Linda Tucker’s book “The Mystery of the White Lions, Children of the Sun God.” These beings are said to hold a direct lineage to the Sirian Star system and hold a key to the life and history of the planet. Depart Tsau after early morning game drive to engage and experience the White Lions prior to departure. We will have lunch overlooking the Blyde River Canyon. Late afternoon arrival at Blyde River Canyon Lodge. The lodge is an idyllic sanctuary that lies beneath the constellation of Taurus, home to the 7 sisters within the Pleiades. Morning boat rides on the dam at the bottom of Blyde River Canyon which is one of the largest canyons on earth. The canyon is surrounded by Drakensberg escarpment and it is thought to be the largest green canyon due to its lush subtropical foliage. This canyon supports a large and diversity of life including fish, hippos, crocodiles, monkeys and a wide variety of birdlife. Afternoon to relax. Lunch/dinner at lodge. Morning at leisure in Dullstroom, depart midday for Johannesburg airport. Lunch own. Evening international flight back to your home. There is a lot of interest in this journey so please reserve your space with deposit. Pricing are based on current exchange rate at the time of the tour and may change should the ratio of the US dollar to the Rand Force increase. Deposit of $1,000. US Is due to reserve your space. Deposits are Non-Refundable unless your space can be replaced by another participant. Other payments made are not refundable under any circumstances 3 months prior to trip departure. Travel insurance is required once initial deposit is made. Check out squaremouth.com or your American Express travel insurance programs for quotes. Once your deposit is made: Payments can be made for total cost of full tour Paypal, CC or check. Please contact Dr Imsara to work out a plan that is best for you. Final payment is due 90 days before trip departure. No vaccinations are shots are required for South Africa. Once you register; detailed information will be forthcoming. If you want to arrive a day earlier and have a day to rest up after this long air flight it would be at your own expense. Just let us know and we can arrange early accommodation and airport transfer to hotel. Hotel cost is approximately $160-180 per night at this time in season. If you are not part of the Cape Town option tour please book your RT flight to Johannesburg South Africa Also if you want to arrive a day earlier and have a day to rest up after this long air flight it would be at your own expense but we would arrange early accommodation and airport transfer to hotel. Hotel cost is approximately $125-150 per night. Make sure your passport is valid for more than 6 months. You need to have at least two clean pages in your passport book for South Africa officials to stamp. You can reserve online with our booking form or contact Dr. Imsara, DOM, AP, Evolutionary Astrologist if you have questions before making your reservation.